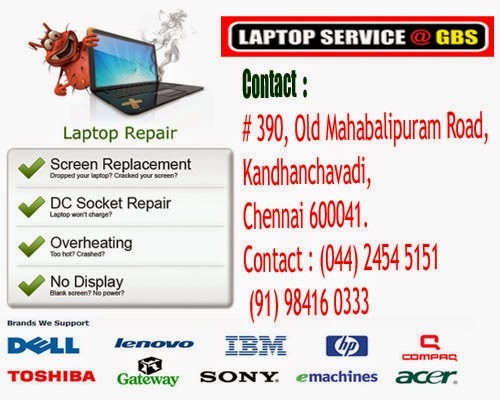 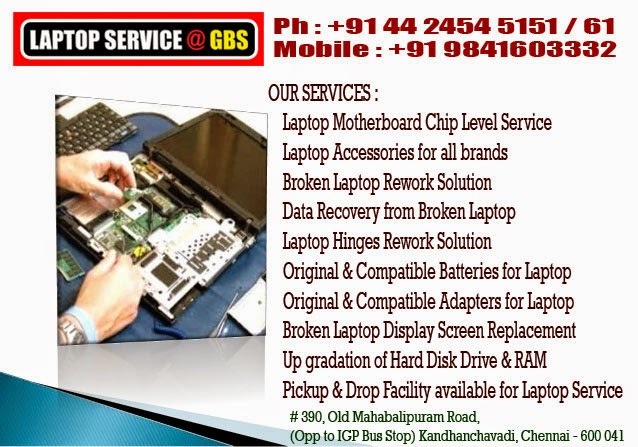 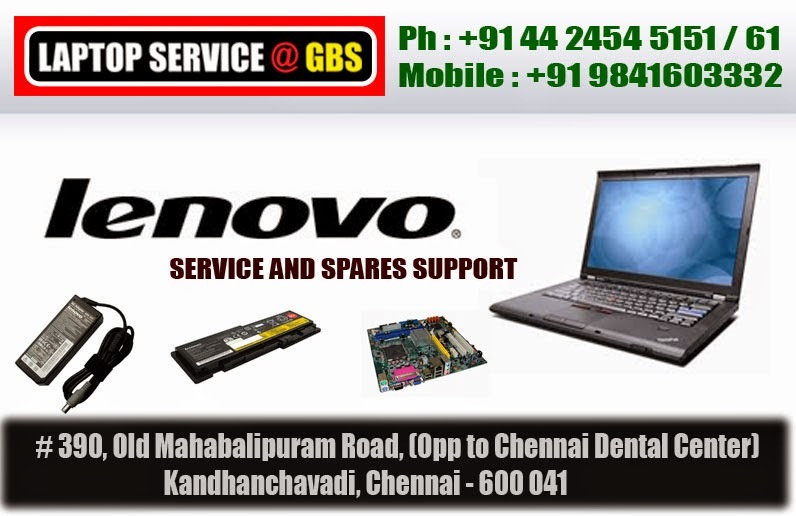 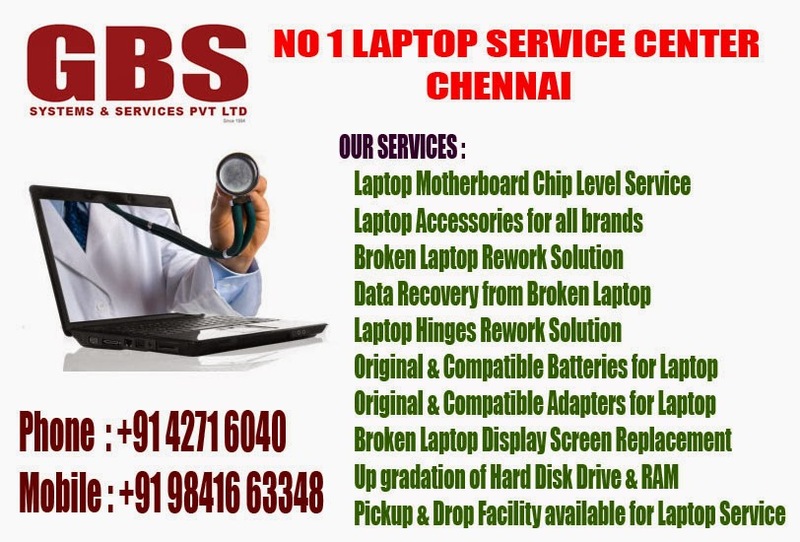 Laptop service GBS is best laptop service provider in chennai since 1994, for laptop service support +91 9841603332, We repair Apple, Dell, Hp, Lenovo, Acer, Sony, Toshiba, Samsung and more brand laptops, also sell these brand spare parts. 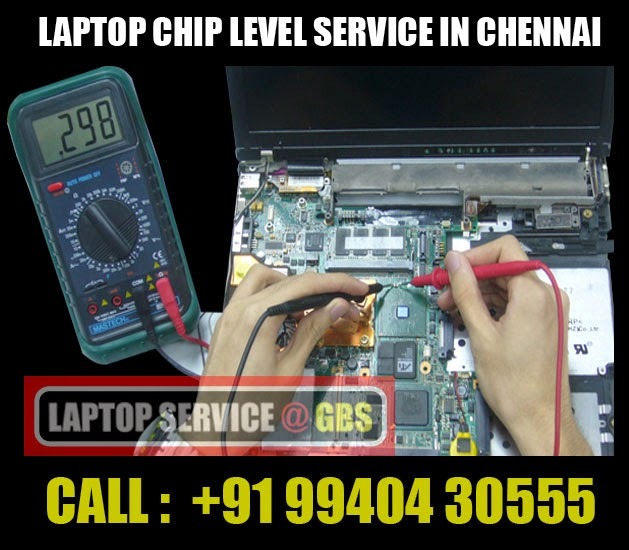 We are professional quality laptop service provider in chennai, we repair and service all brand laptops like dell, hp, lenovo, samsung, sony, acer, toshiba, gatway, samsung etc., Also we all brand laptop spare parts from chip level to motherboard level. 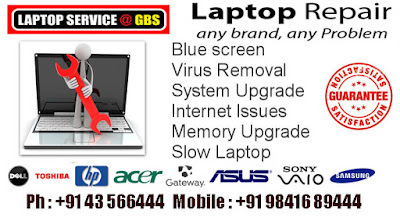 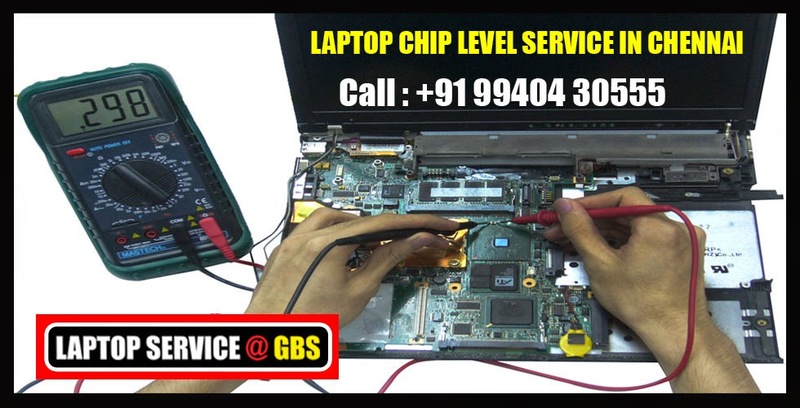 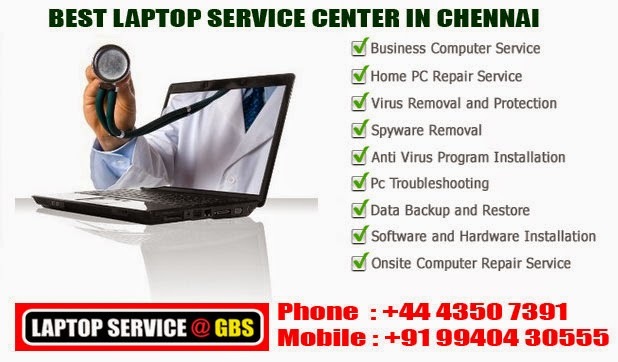 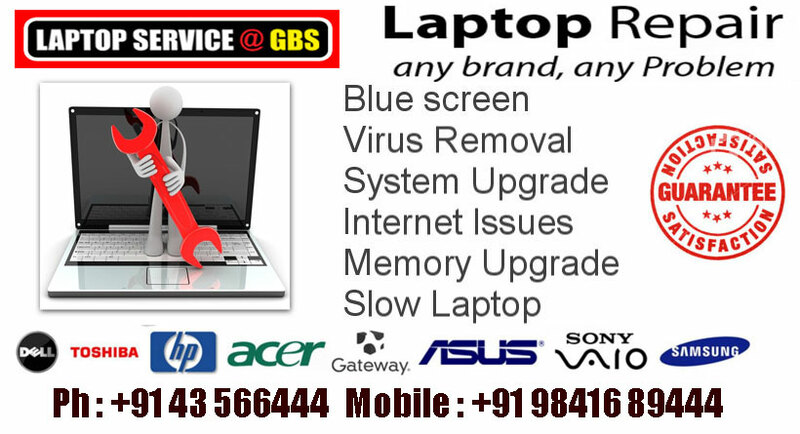 If u have trouble about laptop problems, need your laptop service contact GBS laptop service center, we take care of your laptop problems, just call to us we pick up your laptop and service, return to your's place safely.